Scooby-Doo, Where Are You! - What a Night for a Knight - 1.01. Scooby-Doo, Where Are You! screencaps from season 1, episode 1 "What a Night for a Knight.". HD Wallpaper and background images in the Scooby-Doo club tagged: scooby-doo where are you! what a night for a knight screencaps season 1 episode 1 1.01 cartoon animation. 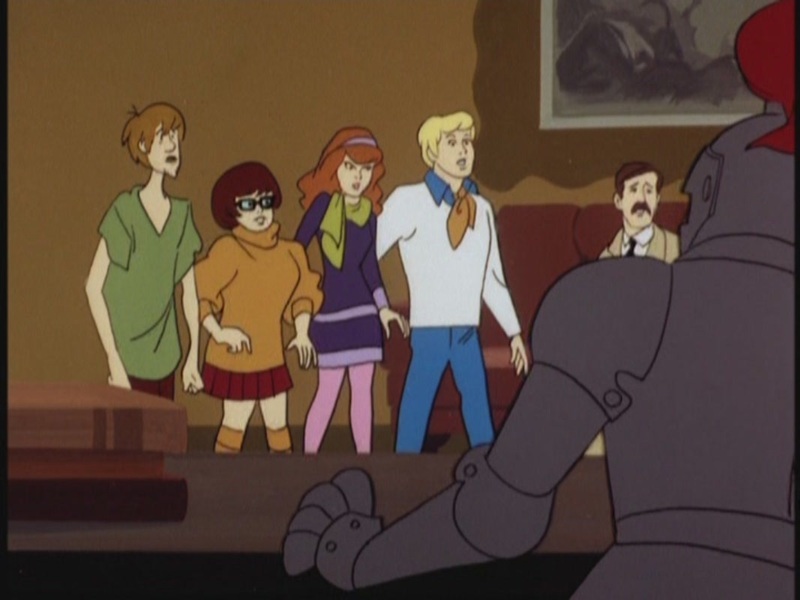 This Scooby-Doo Screencap contains anime, truyện tranh, phim hoạt hình, and manga.